Lot Size: 13331sq. ft. 131.05ft x 148.09ft "131.05 ft X 148.09 ft E.218 N.149 (.83 ) Acres"
Rare Investment Opportunity On Prime Yonge Street Location In Richmond Hill. 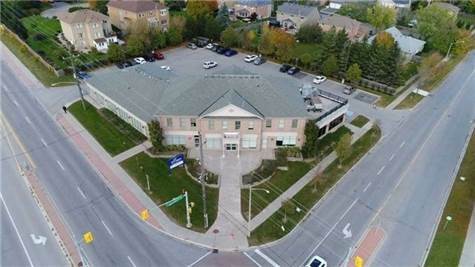 Two Storey Professional Office Building Approximately 13331 Square Feet Plus Over 4500Sf Of Finished Basement, Situated On A Corner Lot (.83) Acres With Two Road Frontages. The Entire Building Is Leased To ""The Regional Municipality Of York"". Located Within The Ysc-Yonge Street Commerical Zone Permitting A Wide Range Of Residential, Commercial, And Institutional Uses.